Directions for the Eagle. This outdoor game is a sedentary variation on hide-and-seek. Play it in an area with some decent cover for hiding: bushes, ferns, tall grass. during the game as a facilitator. else hides in a broad circle around the Eagle Nest (define the boundaries). that they can see the Eagle with at least one eye at all times. This means no hiding completely behind trees, etc. They must also hide within the boundaries. The game goal - people want to get as close to the Eagle as possible and not be seen. this is the true test of invisibility. it will be clear that the person has been seen. That person comes to the Eagle Nest and sits down, remaining silent not giving anyone else away. Again, the Eagle listens in the silence for any movement of other people hiding. and count to 30 while everyone quickly hides again, moving at least 5 steps closer to the Eagle this time. Keep playing like this until Eagle finds everyone or until one person remains. the game stays interesting and fun for everyone involved, without lagging or becoming boring. Among outdoor games for teens, Ninja lives up to its name. It demands complete sensory awareness, the ability to improvise in chaotic circumstances, and to have an amazing amount of fun. Ok, I'm not sure if real-life ninjas have fun, but in this game they do. For the game you'll need a group of at least 2 students, and much larger numbers can be accommodated with some changes. You'll also need a blindfold or two. - Find an open flat area where your group can gather, and then form a circle. Form a boundary around the outside edge of the circle with jackets/shoes/etc. - Choose one or two "ninjas" to start - these will be the folks wearing the blindfolds. Blindfold them and have them come to the center of the circle. - Now the fun begins! Essentially, the two blindfolded ninjas need to move about the circle (being told when they are moving outside the boundary) with a goal of tagging everyone else who remains inside the circle (besides the other ninja). They can move fast, slow, crawl, jump, etc. - Once they tag someone, that person moves to the boundary of the circle, and helps to alert the ninjas, or others in the circle when they are approaching/crossing the boundary. - If someone leaves the boundary to escape the ninjas, they are automatically "caught" and become part of the outer circle with others who were actually tagged. - At times, it will be easy to evade the ninjas, and at others almost impossible. It's a good idea to have a facilitator who keeps the challenge up by slowly moving in the circle of folks on the boundary as the number of folks trying to elude the ninjas gets smaller. - The round ends when the ninjas have tagged everyone who started out in the circle. Usually, the last two folks to be tagged then become the ninjas for the next round. - Played barefoot by all, this outdoor game for teens becomes a battle of senses and creativity where speed means little and moving quietly is essential. We'll post more outdoor games for teens here so stay tuned! Goal. Mother squirrels guide their blind babies with code-language to navigate the playing field, collect nuts, and fire them at other squirrels. Hit Squirrels go to the sidelines. The last squirrel left in the field, wins. Don't be deceived by the mother/baby language here, this is among the best of outdoor games for teens. Set Up. Use markers to define your natural boundaries. Play this outdoor game for teens barefoot by both partners, with their socks balled up, tossed into the middle of the playing field, to become Nuts. Remember to check the field for barefoot hazards before playing. Pair up as Mother and Baby Squirrels. You'll need a minimum of four pairs to play, although larger groups work better. Ask for a volunteer Baby Squirrel, and blindfold the Baby. Set-up Signals. Before starting, partners agree on sound signals or code language with which the Mothers will guide the babies. Mothers very quietly stay close to their Babies at the beginning without touching them; Mothers don't want to draw other blind squirrels' attention to their Babies. Signals cannot be words, and need to be unique to each pair. Taps, squirrel-like chatters, and quick yelps work great. Refereeing. To monitor larger games, you will need multiple instructors. When a sock-nut hits a Baby squirrel, Baby and Mother must silently walk out of the playing circle and watch the remaining squirrels fight for their lives. If only the Mother gets hit, the Baby Squirrel stays in, no "on their lonesome" to do everything - with their blindfold still on. Watch the concentration of the last few blindfolded Babies as they listen for nearby footsteps and quietly Fox-walk so they do not betray their location. Watch for folks who demonstrate an uncanny ability to throw their nuts to hit the target, even before Mother Squirrel prompts them. Either their blindfold is loose, or they're more than ready to become a fabulous birder-by-ear. Last Squirrel Standing. The last squirrel standing wins the round. Have the squirrels on the sidelines - when they aren't rolling on the ground quietly laughing - remain quiet and throw miscast nuts back into the game field. In comparison to other outdoor games for teens, this one might sound cutesy because of the mother and baby squirrel description. However, even though this can be done by younger children, the strategy and the fun possible with this definitely makes it a great game for teens! In this nature activity, hawks birds present a fun challenge to the children. When a bird hawk is hunting, the birds that survive are the ones that are most aware of danger. At a young age either they learn to scatter into the trees or back into the nest, or they become lunch for a bird of prey. This is a fast moving game that children love. It is a good one to play with large groups, although it can also be used with groups as small as four or five. Working with the 6 to 9 year olds at Spruce Pine Montessori School, we shaped it to a version that we liked, giving our hawks and birds a lot of freedom to interchange. Start the game with one or two hawks. Everyone else is a baby bird. The bird’s “nest,” or safe place, is a bandana or other object placed on the ground. Make as many nests as necessary so that the birds are not too crowded. The game begins when the baby birds leave the nest to find food. Then the hawks began to fly around the birds. When they raise their “wings” (arms) they begin the hunt. When the baby birds see the hawks hunting they must get back to their nest or be killed (tagged) by the hawk. Once in the nest they must practice being still and quiet. If the hawk sees movement or hears noise, it can tag the bird and the bird dies. “Dead” birds become hawks in the next round so that no one has to sit out. If a hawk does not catch a bird in three rounds, then it “dies” and becomes a baby bird. 1. Hawks are not allowed to touch the birds in order to make them move. 2. Hawks are not allowed to hover over a bird. They must continue to fly. 3. Baby birds must leave the nest if hawks are not hunting. 4. Limit each round to 30 to 60 seconds. What do nature activity hiding games have to do with awareness? Well, everything really. We play our games in the woods. This helps the child to spend a lot of quiet time in the natural world and learn to blend in. The more a child can blend in to the woods, the closer he or she will be to nature. An increase in awareness of birds, animals, plants, colors, textures and all other natural things will follow. Plus, they are great fun. With adult supervision, find a safe place in a wooded area. Be sure that the boundaries are well defined and the area is free of common hazards such as poison ivy. Hide and seek is a great way to start, and everyone knows how to play. Begin with hide and seek and then try a couple of new ones. Walk down a wooded trail with two adults and a group of children. One adult stays behind while the other takes the children a little further up the trail. Then the children hide on both sides of the trail. The rule is that they must hide close enough to the trail so that they can see the adult. The other adult must close his or her eyes while the children are hiding, then walk forward. Without leaving the trail he or she tries to find as many children as possible. This is a fun activity with all age groups, but especially the younger ones. This nature activity hiding game works with an older group that you are sure will follow directions. Take a walk in the woods on a well marked trail. Without warning, the adult will shout "SCATTER" and begin counting to a low number such as 8 or 10. The children will have an 8 or 10 count to find a hiding place. Then the adult will look for the hiders while staying on the trail. The object of this game is to find cover and blend in quickly. Running a great distance after the count is over is not allowed. As the game goes on, make the count shorter and shorter. The kids love the challenge. Here is a nature activity that works well with a small to medium size group. It is a great game to help you to learn how to see. Oh, I know what you are thinking, you already know how to see! Are you sure? Can you see the little things in nature that most people walk right by and never notice? Most of what we experience in the world comes through our eyes. The catch is, we miss a lot because we have not been trained to see. Computer games, videos, and TV do not teach us to see. They are only lines on a screen. Real seeing in the natural world is an art. With a little practice you can open up new worlds for yourself in nature by learning how to use your eyes. Let’s get started. Gather up several bandanas or pieces of cloth of many different colors. Find a trail in the woods if possible, or use an area in or around your house. This activity will work anywhere. One person will place the bandanas along the trail, or around the house and yard. Put them where they can be seen, but not too easily. After this is done the rest of the group, one at a time will walk down the trail, or around the house, and see how many bandanas he or she can find. Do this without moving your head from side to side. Look straight ahead and try to catch the bandanas with the corners of your eyes. This is called using your peripheral vision. Owls are great at this and you can be too! To make it more interesting, try different colored bandanas and put them in new places. Also, make some easy to see and some hard. It doesn’t matter how many you actually find. What is important is to practice using your sense of sight in a new way. Any questions before you begin? “That’s alright, Bob, you can tell them about Owl Eyes another time." Thank you, Moon Bird. Now let’s turn it over to the kids! Time to go out and try either one or both of these nature activities. We would like to know how these nature activities went for you. Where did you play these games? Was it in the woods, or around a house, or some other place? Were you able to see any bandanas or other objects? What colors stood out? Which ones blended in? If you played both games, which one did you like better? Why? Hi kids, it is Running Deer here. Moon Bird, Barbara, and Bob are animal tracking right now on the mountain. So I'm in charge for today. We need another nature activity. Hmmm.....let me think. I've got it! Here is a fun activity that many children love. We call it 'animal pretend'. I think you know why we call it that. This is a nature activity in which you pretend to be any nature critter that you want to be. That's why I like this game so much, because I love to use my imagination and play pretend. You need at least two people to play, but it is more fun with larger groups. One person will pretend to be an animal and the others will try to guess who you are. There are many things you can do to give them hints. Here are a few: Make certain creature sounds. Walk or run in a certain way. Pretend to eat certain foods. Act in a brave way or a timid way, depending on what you are. You get the picture. Pretend so well that you become the animal. Give everyone in the group a chance to pretend at least one time, then do it again. This is a fast and fun nature activity. The rules are simple. A group of children stand in a circle, facing in, to the center. One person is chosen to enter the middle of the circle. He or she will hold a bandana or any other handy object. When the bandana is put on the ground in the center of the circle, the game begins. The center person is not allowed to cover up the bandana in any way, such as sitting on it, standing on it, etc. The object of this nature activity is for every player who is standing in the circle to try and take the bandana away from the person in the center. They enter from all sides whenever they want to. The center person must tag players as they come close. If a player is tagged, then he or she must go back to the outside of the circle and start again. If a player picks up the bandana, he or she must get back to the outside of the circle without being tagged. Whoever is successful in getting the bandana all the way to the outside of the circle becomes the next person in the center. Play until everyone has a chance to be in the center. That's all there is to it. Are you wondering why this activity has anything to do with nature? It's the eyes. This is a game that will teach you how to see. I know that you can see, but can you see like an animal can? Can you see like an owl? An owl has a wide field of vision. If you practice this nature activity, your field of vision will expand. It has to. If you were in tunnel vision you would see only what is directly in front of you. Someone could easily come in from the side and take the bandana. This is called using Owl Eyes. Practice this skill and it will open up a whole new way of looking at nature for you. How did that nature activity go for you? Did you use your Owl Eyes? What was more helpful in this game, speed or owl vision? Where else do you think you can use Owl Eyes? This is a nature activity that the younger children can't get enough of. We use it often in programs for 6 to 9 year olds, and occasionally with 9 to 12 year olds. They laugh and play their way through it, and then ask for more. It's a great way to experience what it is like to be an animal and to offer insights into why and how it behaves. This is how it goes. Develop a list of common animals, such as deer, cat, dog, mouse, bird, etc. In secret, give each child an animal. The key to the game is to give each animal twice so that every child will have a mate. When the signal is given to start, the children imitate their animal and try to find their mate. This is where the fun starts. Encourage the children to "become" the animal. Walk like the animal, make sounds like the animal, behave like the animal. No human talking is allowed. When all mates are found, start another round. As few as two players, or up to about 10 can play this game. Each player chooses a partner. One partner is blindfolded with a bandana or any other handy blindfold. It's ok to just close your eyes, but no peeking is allowed or the game will not work. The seeing partner carefully leads the blind partner to a tree. Remember, seeing partner, you are responsible for keeping your partner safe. The blind person then feels the tree with his or her hands. How does it feel? Rough? Smooth? Big? Small? Ridges? Holes? Try to learn as much as you can about that tree with your sense of touch. Then smell the tree. Go ahead, put your nose right up to the bark. It won't hurt you. How does it smell? Sweet? Sour? Old? New? Like the earth? Like wood? You will be surprised how much you will learn in this simple nature activity. Here is a hint to make it more interesting. Don't lead the blind person directly to the tree. Walk him or her in circles for a while to make it more challenging. Ok, now its time to play the game. From Scouting (UK) magazine, we borrowed an idea Cubs will enjoy. Give each six a copy of the poem and a collecting bag, set a time limit, and send them on their hunt. Caution them to bring back only fallen materials or nonliving things. Tell them to note the locations of the other items in the poem so that they can lead the pack to them after time is up. A plant in the ground. Send off each six with a bag, a pad of paper, pen or pencil, and a box of wax crayons. Please do not pick, harm or remove any piece of anything that is still alive. Bring back something you can see light through. Bring back something to make music with. Bring back a soft rock. Find three things that have changed:since this morning...since last winter...since you were born... Tell us about them. Find and draw a picture of something that is ending its life and something that is beginning its life. Bring back the sound of the rain, even if it isn't raining. Find something natural to mark with. Bring back a picture you drew with it. Find three signs that animals are living here. What animals do you think they are? Describe something that changes so slowly you don't notice. Bring back a piece of litter. Tell or write a story about its life. What would happen to it if you left it where you found it? Measure and record the length of the shadow of the tallest person in your group, using a finger, toe, hand, foot, arm or leg as a ruler. Find something you would like to make better. Tell how you would improve it. Using everyone in your group, make a human sculpture to show the other groups something that you see on your hike. Bring back rubbings of three different textures. Tell where you got each rubbing from. Draw a picture using five different colours you see. Find something you don't understand and make up a question about it to ask the others. List 10 words to describe a natural object 10 paces to your left. Find and draw or describe a sign of the season. Sit players in a circle and move around it whispering the name of a different animal in everyone's ear (mouse, duck, owl, frog, cow, bear, etc.). Give them a few seconds to think about their animal sounds and practise them quietly. On signal, everyone makes his animal sound at the same time. Guided only by these sounds, players try to line up in order of biggest to smallest animal. This final game from Clouds on the Clothesline is fun to play with groups of 12 or more in an area with several different kinds of trees. It's also a good way for Cubs to reinforce their tree identification skills. Organize the players into three or four groups, depending on the kinds of trees in the area (maple, beech, birch, etc. ), and choose one player IT. Each player moves off to stand touching his kind of tree (one player per tree), and IT takes a centre position. When IT calls out the name of a group (e.g. "Maples"), all players in the group race to change places with each other. As they do, IT tries to claim one of the maple trees for himself. If he's successful, the player he replaces becomes IT. When IT calls out, "Forest", all players must change places, again making sure they end up touching a tree of their group's name. Over time, we have come to the frightening realization that there is no "spare in the trunk". As they have fun playing in and exploring the outdoors, children also can begin to appreciate that God's world is "one of a kind" - something very, very special that needs all the respect and care we can give it. You Can't See Me ! The object of this game is to allow the players the opportunity to pretend they are animals, trying to hide from Man. Each player is given time to hide along the trail. They may travel no more than 15 feet from either side of the trail, and may use anything in the natural environment to provide camouflage. The leader waits about five minutes until all players are hidden. He walks the distance of the trail ONCE ONLY, and tries to find as many players as possible. After his walk, he calls out, and watches to see where all the successful 'animals' hid. This game can be repeated many times, with different players taking the role of the searcher. It is fun to talk about the hiding places that were the most successful, and how animals might protect themselves from predators. Half the group is given blindfolds to wear. These players are placed in scatter formation within the boundaries of the playing area. A stone is placed between their fee, but not touching them. The other half of the group (the ones that can see) begin to stalk the blindfolded players in an effort to obtain the stone from between their feet. In an attempt to pinpoint a stalker, the blindfolded players may point to a sound. If a stalker is there, the two players switch positions. Stalkers try to collect as many stones as possible without being caught. They must be able to SEE what they write down from where they are sitting (e.g., sky is where stars are seen; clouds cover stars on a dull night). Each team has five minutes to write down as many words as possible. The next five minutes are devoted to the word WEATHER, the next five to ANIMALS and so on until all letters of the word SWAMP have been given equal time. At the end of the writing session, the leader tallies the number of words to see which team has the sharpest eyes, and the most vivid imagination (some teams may have to explain their rationale behind writing down certain words - the leader may not understand how they relate to the 'master' word). You'll be amazed at the boy's imagination. The object of this game is to discover a friend in nature, without harming any living thing that might be found in the out-of-doors. Players are taken on a short hike during which time each player collects something from the natural environment (nothing may be broken or picked from any living thing - the item has to be either lying on the ground or resting on another object (e.g. stump or log)). Everyone keeps his object hidden from all players. Following the hike, each player is given the opportunity to build a small home for his 'friend'. He is also asked to give his friend a name, and to think of one way in which he could take care of his friend, if it was still out of it's natural environment. 'This is my friend Twiggy. He is a small branch that I found lying on the ground. I've built him a house from soft leaves and moss that I found on the ground. If he was still on a tree, I could take care of him by protecting him from the wind. I could build him a fence so the wind wouldn't snap him off his tree. I could also make sure he doesn't catch diseases - I could check for termites and insects that might harm him." The friends that are made are refreshing to everyone. Formation: scatter, in a wooded area with several varieties of trees. Players are divided into three or four groups such as Sugar Maple, Beeches, Yellow birches, ironwoods. In an appropriate and defined area, players stand touching their trees - only one per tree. 'It' stands at the centre spot and calls the name of a group.. 'Beeches' for example. At this signal, the designated group changes place with on another, running from one beech tree to another. 'It' tries to claim a tree of his own during the interchange. If 'It' is successful in claiming a tree, the player who is left without a tree becomes the new 'It'. If 'it' calls 'FOREST', everyone is required to change to another tree of his team's name. To end the game, it is fun to have 'it be it' for four or five rounds of the game calling 'FOREST' every time. As 'it' beats a player to a tree, that player is eliminated. In this way, some trees may be altogether wiped out from the forest, as could happen in our natural environment. The purpose of this game is to discover the beautiful sounds that can be created by the natural objects in our environment. Each player is given 10 - 15 minutes to find objects in nature that make a noise when banged together, or blown on, or rubbed together. Players bring back their 'instruments' and a conductor is chosen, who organizes the group into a semi-circular orchestra. Each musician is allowed to 'tune' is instrument, so the rest of the group can hear the different sounds. If a player can play more than one instrument at the same time, he is welcome to do so. The conductor can then choose a familiar tune with an easy rhythm, and lead his orchestra in song. Let the players make requests for songs they would like to play; give musicians the opportunity to work on 'solos' that they can perform for everyone. First published in Foxprint, Summer 2004. Trailing an animal or person through a landscape is one of the most fun and difficult tasks that one may undertake. It is a great outdoor activity for children. It is fun for everyone, and a great way to get young people interested in tracking as a study. It is exciting to follow a fresh set of tracks and realize that you are getting closer and closer to the maker of the tracks, perhaps getting a glimpse of the creature as it slips away through the trees. Getting kids interested in trailing is a bit different than teaching it to adults. Adults can handle (and often like) some rather cerebral tracking lessons. Kids usually like something that is more experiential. They don’t usually need to know the theory behind the lesson as long as it is fun. One game you can play with younger children is to have them follow you around stepping exactly where you stepped. You can wind around and step in all kinds of ways. This begins to bring track awareness into their brain as they try to follow you exactly. With older kids, you can start to set it up as a hide and seek game. They have to find you. Use your imagination to come up with a great reason why they need to find you. You will be hiding and running away from them, but you will have to drag a log behind you that has nails pounded about halfway in all around it. As you drag the log along behind you it will leave scrapes and scratches on the ground. The kids will be able to follow these marks until they reach you. After playing a few times you can start to remove nails so that it gets more and more difficult to follow, until the log is being dragged without any nails. Most importantly, spend some time trailing with the young people that you are mentoring. Bring them along and show them the tracks that make you excited to trail and follow. The excitement and enthusiasm that you have will be passed along to them. Tracking has been passed on for generations by trackers taking younger people out with them as they trail animals, hunt, and track. Seeing what is possible gives young people something to strive for. They will look up to you as the example, they will copy what you do, and they will get ideas for what they want to do in the future. Be the best role model you can possibly be. It's good to have a repertoire of outdoor activities for children. Encourage kids to follow every trail they find as far as they can. You will be surprised at how quickly they start to be able to do this, and the stories they start to bring home after spending some time on this endeavor! One of the best ways to teach youth is through the use of outdoor games for children. You can probably remember playing all kinds of games outdoors when you were younger. Perhaps, you still do. Some of the most well known and well loved outdoor games were often some variation of games of hide-n-seek or tag. Many great nature games for children are based off of these classic games. The use of outdoor games for children engages them on a more physical level, where all their senses may be engaged and their enthusiasm unleashed. The natural world is arguably the best classroom there is. Outdoor games for children have been shown to help children learn about things such as plants, mammals, birds, and many other topics in a way which is more likely to be retained by the children over time. 1. The instructor calls out various things in the landscape by saying “You're only safe if…” and then call on a specific herb, rock, tree or other feature on the landscape. 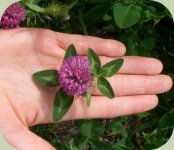 The idea is to encourage them to learn to recognize various things by name, such as big-leaf maple, dandelion, raccoon track, white clover and so forth. 2. You give all the children a moment of time – generally a few seconds – to locate the item in question. The more experienced the students, the less time they get to find the item. 3. Then, the instructor chases the children with the intent of tagging them before they touch the item in question. 4. If the children touch the item before they are tagged, they are safe. If not, they become one of the “its.” As another tagger they can assist you in chasing the rest of the group. 5. The game tends to end quickly when more and more people get tagged and become its. It can be helpful to restart the game before everyone has become a tagger. Depending on the age and experience level of the children present, certain aspects of the game can be adjusted. If for instance, none of the children are familiar with the particular tree or herb you call out as the instructor it helps to introduce some of them to the kids ahead of time. It is helpful to play in relatively open areas such as woodland edges, fields and open forests. Be mindful of hazards such as poison ivy or bramble patches or whatever other hazards might exist in your area. 1. You as the instructor delineate a small area several meters in circumference that will be the “eagle’s nest.” Use whatever material is available – sticks, rocks, pine cones, backpacks – to create a clear visual boundary as the edge of the nest. It can help to include a tree or large boulder as part of the edge of this circle so it can be leaned against, and faced into when counting. 2. Announce how long you will be counting. As you count to between 40 and 60 seconds, face away from the children and if possible cover your eyes and lean against a tree or boulder for an added light barrier. At this time, the students go out and hide. When you are done counting, you can open your eyes and visually scan around to see if you can spot the students. You announce that you are done counting by saying something to the extent of “the eagle’s eyes are open,” or “the eagle is awake.” You can move to any place inside the boundaries of the eagle’s nest and look from there, but you may not step outside of that boundary at anytime. 3. The children must hide so that they are not seen or heard by you. They must, however, keep one eye on you – the instructor (or “eagle”) – no matter where they are hiding and at all times. 4. Any children that are spotted by you come and sit quietly in the nest. They are not allowed to tell you nor point to where the other children are hiding. You can have them pretend to be eagle chicks or pretend to be some kind of eagle food, i.e. a rabbit, fish or bird. 5. After about 1 to 2 minutes of visually scanning, you can turn around again and count. This time count 5 or 10 seconds less. It helps to announce what number you are counting too each time you count. 6. At this time, the children have to move 5 steps closer to the eagle’s nest. With each consecutive time you count, they have to come closer to you by 5 steps. The goal for them is to get as close as possible to you without being spotted. 7. The last child to be spotted becomes the new eagle. If the children are very young, it might be best for you to remain as the eagle, as sometimes it can be a challenge to remember all the rules. What colors blend in well in this landscape? Where are the good hiding spots? Can you name an animal that has to hide to stay alive? What animals do you think live and hide around here? What might happen to a mouse, rabbit or small bird that makes a lot of noise and does not hide? 1. Have the children form 2 lines that face each other. It helps to have group or 4 or larger for this game. 2. You are the announcer, and as such you ask true and false questions. These questions can cover all kinds of natural history and outdoor related questions on whatever topic is relevant. For example you might ask, “Do robins eat worms?” or “Are bats blind?” or “Does water run up hill?” and so forth. 3. You do not give the answer immediately; rather you let the children decide if this is a true or false statement. If it is true, the owls chase the crows. If it is false, the crows chase the owls. You do not announce what the answer was until the children have started chasing each other or you can wait until they have returned to the line. Once they are back in line you can give a short description of why it is true or false. 4. If the owls chase the crows, and one of the crows is tagged it becomes an owl and vice versa. 5. The game restarts when all of the players end up on one side of the line, i.e. all crows or all owls. You as the announcer can make the questions as difficult or easy as you want. If some confusion happens because the kids don’t know the answer, and they end up running in the wrong direction this is okay. Making mistakes is a big part of the process of learning. Outdoor games for children are an excellent teaching tool. Try using these and other outdoor games for children to help encourage kids to maintain and grow their connection to the natural world. Now, go out and play! 1. It can be helpful to scout out your site beforehand to get an idea of what kinds of things your children might discover there. 2. Make a list of things you want to be found and hand them out to the children. 3. If you have more than 4 or 5 children, it might make sense to break them up into several smaller groups. 4. Send each group out with an adult, for between 30 and 40 minutes. 5. You could have the children collect their items and bring them back, or mark them off of a list. 6. When the group(s) return, have them share their stories of what they found and how. 7. This can also be an opportunity for you to talk about certain items on the list and why they might be especially interesting and exciting to know. The nature scavenger hunt can really help inspire and connect kids to the natural world through the direct experience of their senses. It can help encourage them to touch, see, and smell things that they might otherwise not be inclined to investigate. Don’t underestimate the potential learning possibilities and excitement a simple natural scavenger hunt can create! Twig Matching: Obtain several kinds of twigs 8 to 12 inches long. Cut into two parts. Mount the lower half on a board. Scatter the other halves on a table. At a given signal the players observe closely one of he twigs and then run to the twigs on the table to get the other half. If the wrong half is brought back they try again. This game requires close observation. Leaves may be used in the same way, or flowers with short stems may be fitted to longer stems, or leaves to leaf scars.